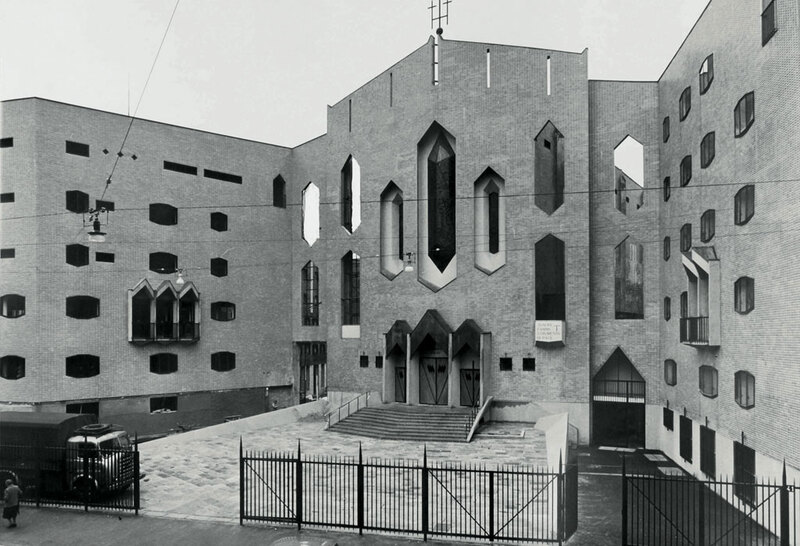 After 30 years, the San Francesco d’Assisi al Fopponino church in Milan, for whose interior Gio Ponti and Olivari collaborated on the Cono door handle, will now once again be illuminated in the way Ponti intended. 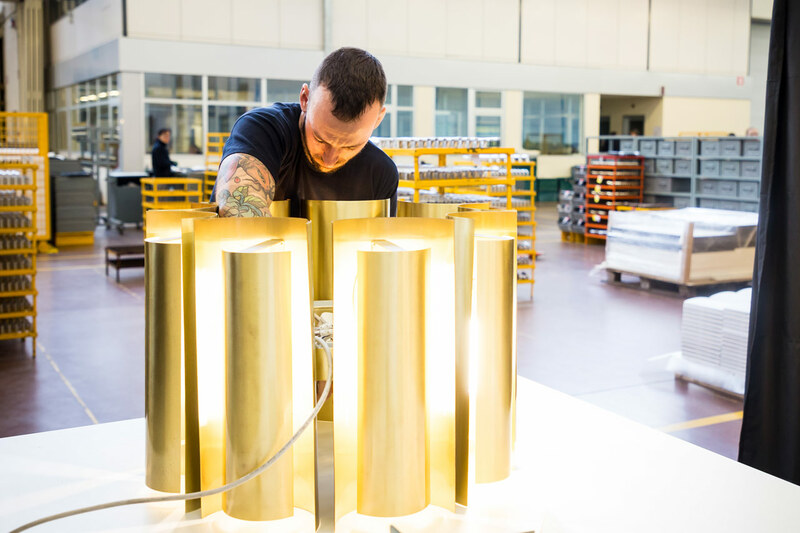 Olivari has offered to bring Ponti’s lamps back “to light” by wielding its technological and artisanal expertise toward their restoration. 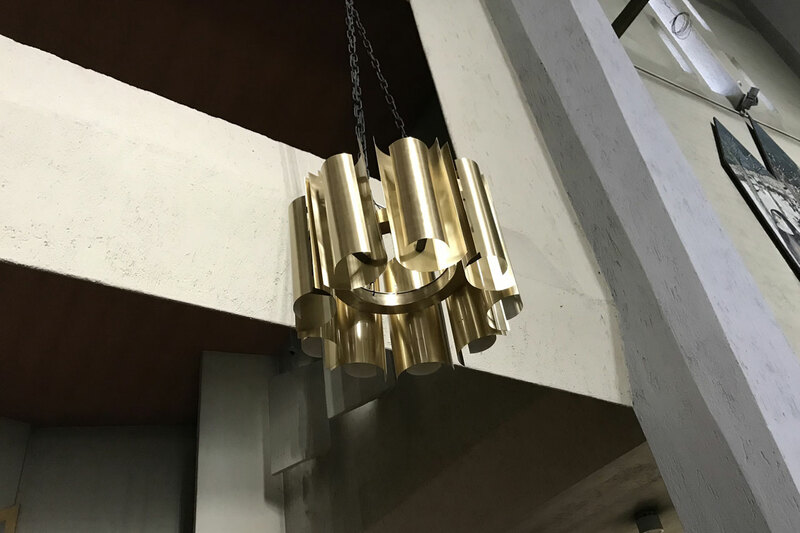 T he 20 brass suspension lamps lining the church’s central nave were disused in the 1980s in favour of new brighter lamps. Fitted with metal-halide bulbs, these powerful latter-day spotlights badly distorted Ponti’s original spatial concept and its intimate atmosphere. Over the years, the old brass lamps had oxidised and blackened, losing the luminous, elegant finish with which they had been designed. 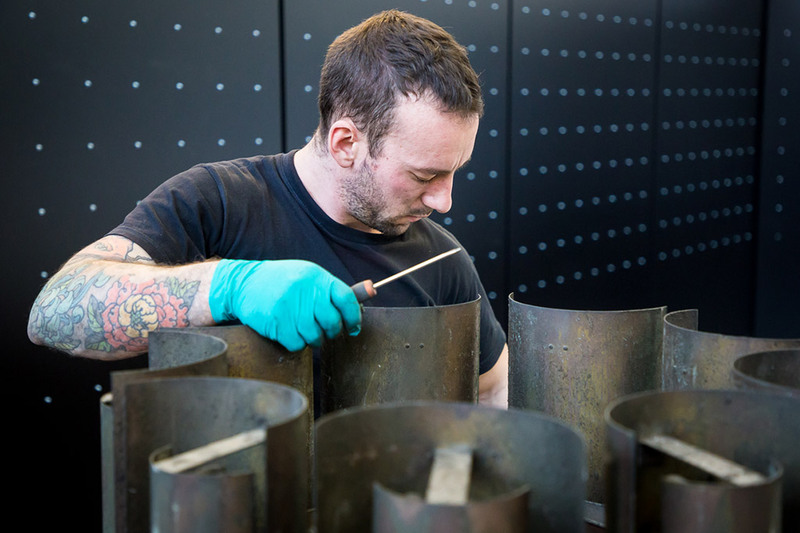 The restoration began with the lamps’ metal structure, and was executed at the Olivari factory. 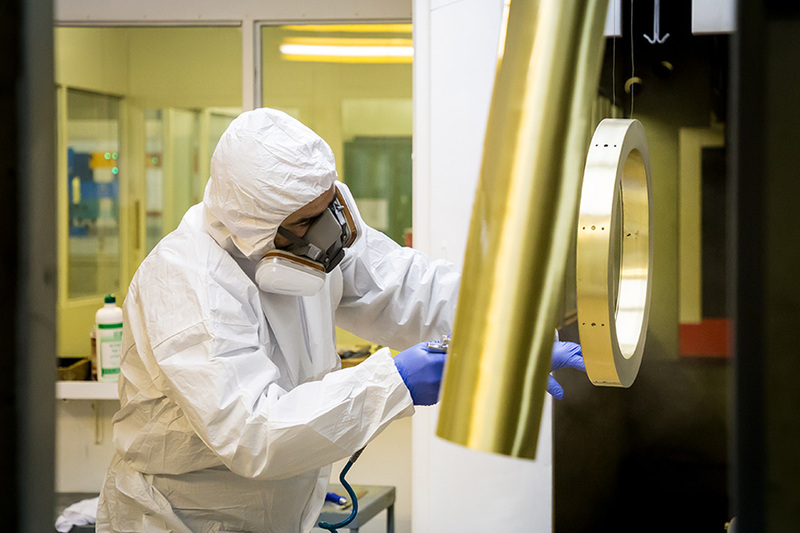 The first step was to determine the type of finish that had originally been applied to the brass. This was analysed in the laboratory. 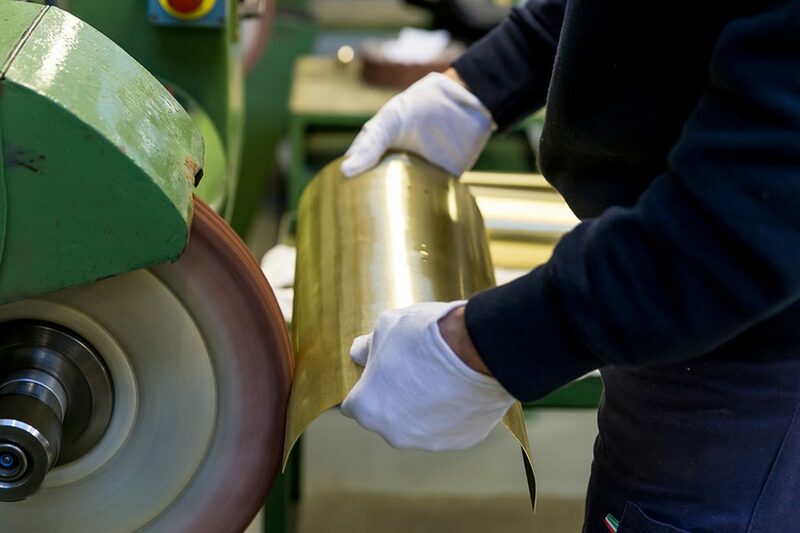 After sanding and grinding the surface to remove the layer of oxidation, the brass half-cylinders were satined horizontally, coated with transparent varnish and heated in a furnace. 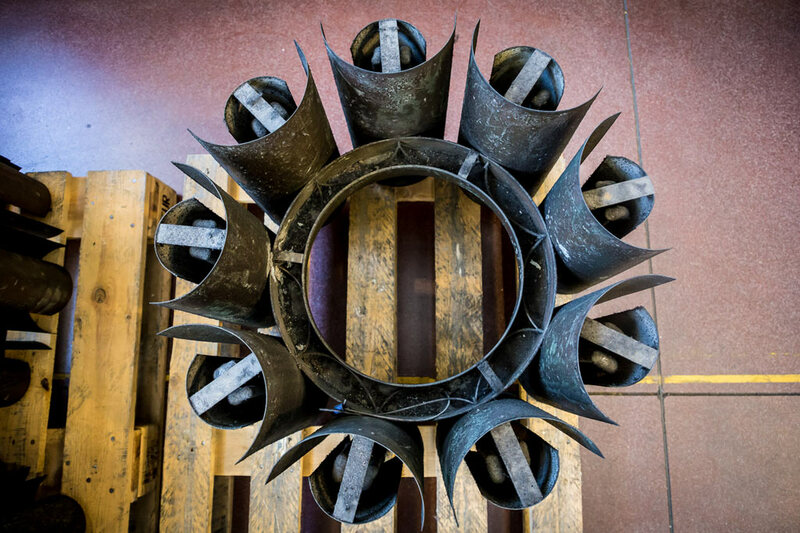 This will allow the lamps to maintain their fresh beauty for many years to come. 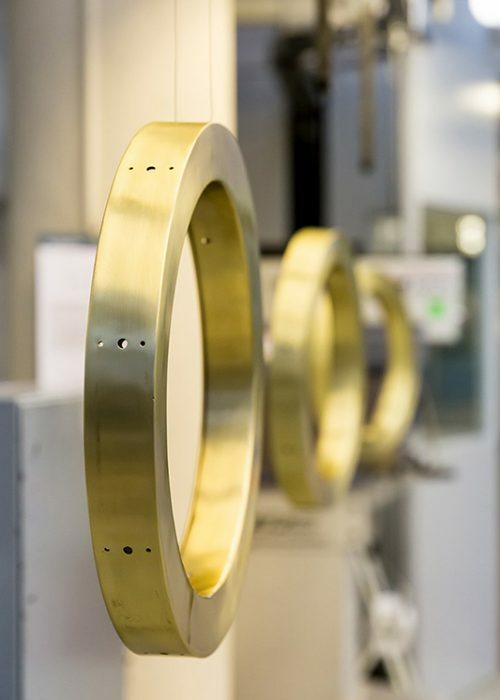 In parallel Olivari devised a system of low-voltage LED strips to provide the same number of lumens emitted by the high-voltage loops of neon originally mounted inside each semi-cylindrical brass element. The LED strips, which diffuse soft, warm light, were positioned inside invisibly, attached by Velcro so as to be easily replaceable. 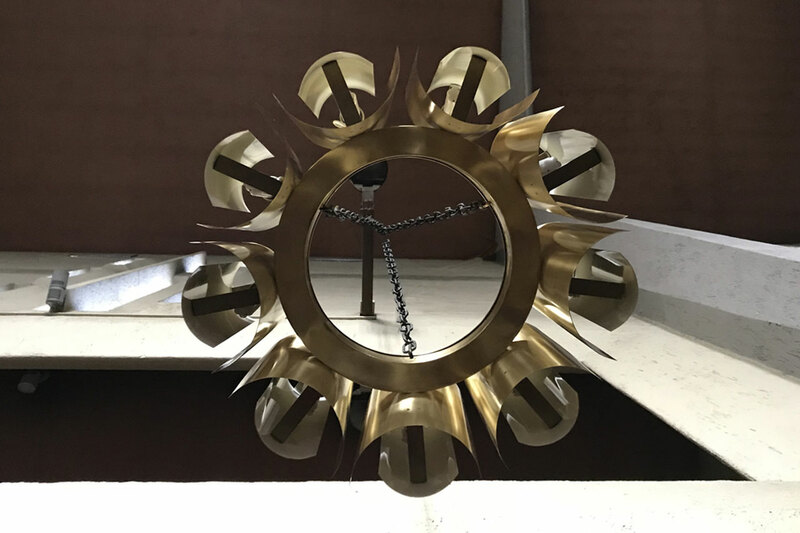 In agreement with the cultural heritage department of the Roman Catholic Archdiocese of Milan, a two-pronged approach was pursued. 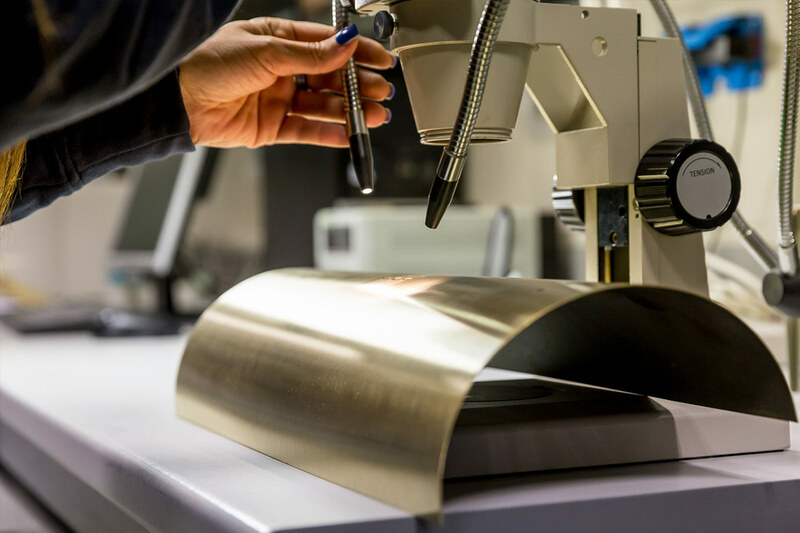 The first was the restoration of the metal components’ original appearance by using products that would guarantee good stability over time. The second was to substitute the neon light sources with a technologically advanced system that would have a longer life and be less costly in electricity requirements. 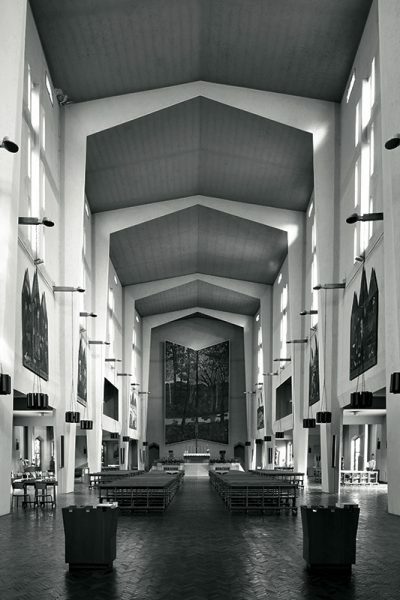 The final aim was to rehabilitate the meditative atmosphere Gio Ponti had strived to obtain when he designed both the lamps and the window apertures in such a way as to bathe the church in suffusive light. 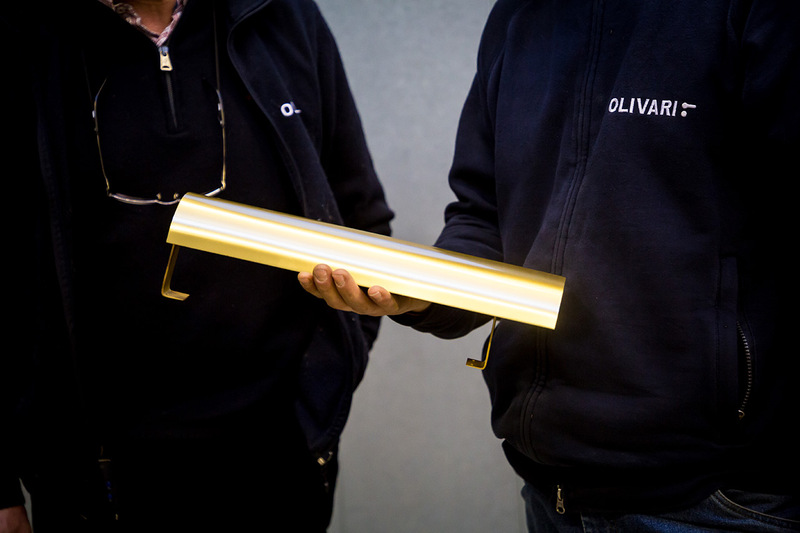 Olivari has now restored the hanging lamps and their light, elegant aesthetics to their former splendour.